To make the dough there are a couple of options like hand mixing, by mixer and also by processor. Stir the Yeast and sugar into the water in a large mixing bowl. Let it start until foamy, about 5 mins and then stir in the oil. Mix the flour salt and stir, 1 cup at a time, into the mixture beating well to get lumps out. Knead on a lightly floured surface until soft but firm, about 8 mts. First Rise: Place the dough in a lightly oiled bowl, cover tightly with plastic wrap, and let rise until not quite fully double, 45 mins to 1 hour. 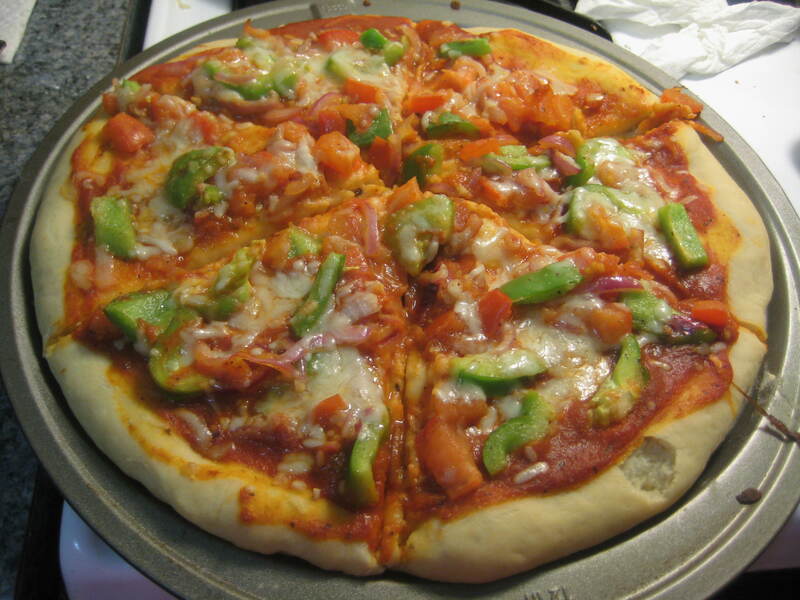 Shaping and second rise: Divide the dough if you are making more than 1 pizza. Roll the ball and then flatten into a thick disk to 1/4 to 3/8 inch. Place the dough in an oiled Pizza pan that has been sprinkled with flour. Finish shaping the dough with fingers. Cover the dough with a towel and let rise for no longer than 30 mts. The dough should be puffy and softly risen. Topping: Select your own toppings like what ever combinations of mushrooms, peppers, onions, jalapenos, olives, tomatoes, cheeses and herbs. 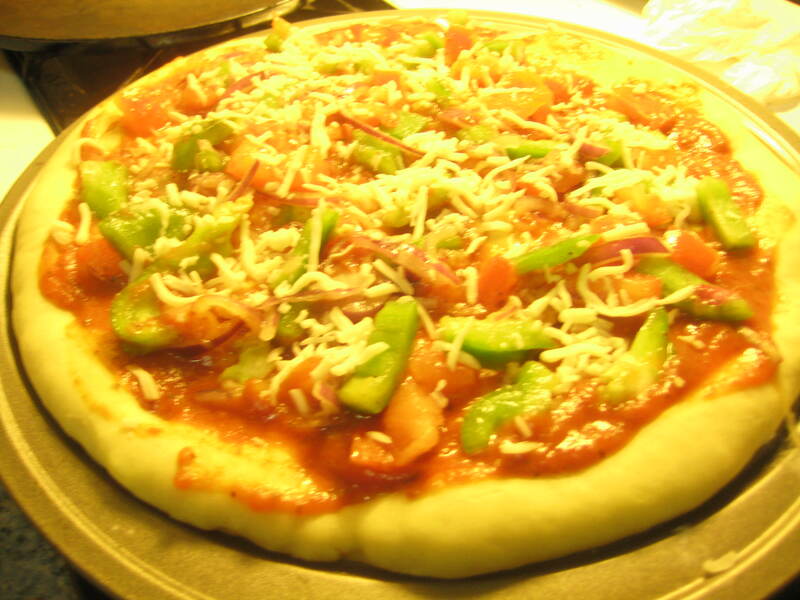 Baking: Heat the oven to 400 degree F. Bake large pizza for 25 to 30 mins and smaller ones for 15 to 25 mts. After the pizza rises in 15 mins or 25 mins apply oil, pizza tomato sauce, toppings, sprinkle cheese and keep it back in the oven until the crust is golden brown and crisp with little blisters and there is Pizza in your own oven.